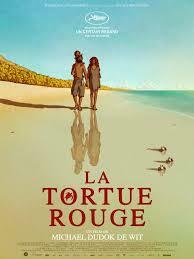 Fair Value of The Red Turtle:$9.00. Beautiful art and animation at a languid pace. Is this film worth my time? Do you like the idea of Herge, Miyazaki, and Gauguin working together? This film is a moving picture in the truest sense, a 90 minute montage of art. Who is this film perfect for? Animation fans who would like to see a blend of French and Anime artistic styles. Director Michael Dudok de Wit has managed to blend the intense detail of Miyazaki’s backgrounds with the simple iconic character design of Herge (The Adventures of Tintin). Who will not like this film? It is an extremely slow paced, austere film. Think of Gus Van Sants Gerry, but animated. There is not a word of dialogue in the film. Its purely working on visual expression. What is the summary of this films concept? Robinson Crusoe, but with a magical giant Turtle instead of a Man Friday. Shipwrecked castaway befriends the wild-life as he struggles to survive on a desert island. However, The Red Turtle does not travel in standard dramatic currents of lessons and growth. Its a film about the insignificance of the human condition, and the indifference of nature towards our condition. We are all stranded on the wasteland of the now. There is a strange way in which despair and rapture intersect in existentialism- how the lens of the mind parses the hideous and transcendent from out of the same situation. The nameless protagonist of The Red Turtle experiences this- vacillating between love for his ongoing existence and hatred for his confinement away from human interaction. And that’s what this film is about- how does a person spend their time when there is no chance for escape? how do they balance between taking what they need from nature and respecting the callous power of nature? How does this film compare to others like it? 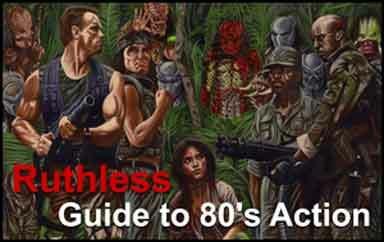 Its a survival movie, but the cruelty of the setting is buffered by the beautiful palette of the artwork. There’s also no dialogue and no monologue; we get a few vague clues about the protagonist’s life of the mind through dream sequences and hallucinations, but he is otherwise a cypher. What works in this film?Rich and vivid depictions of nature in an impressionist style, with some magical realism. The entire film has the quality of a dream. What fails in this film? My chief concern is that people will see A Studio Ghibli release and decide that its a children’s film. While not being inappropriate for children, its probably going to be test of their limited attention spans.